Prince of Orange (or Princess of Orange if the holder is female) is a title originally associated with the sovereign Principality of Orange, in what is now southern France. Under the Treaty of Utrecht  of 1713, Frederick William I of Prussia ceded the Principality of Orange to King Louis XIV of France (while retaining the title as part of his dynastic titulature). After William III of England died without children, a dispute arose between Johan Willem Friso and Frederick I of Prussia, which was settled in the Treaty of Partition (1732);  consequently, Friso's son, William IV had to share use of the title "Prince of Orange" (which had accumulated prestige in the Netherlands and throughout the Protestant world) with Frederick William I of Prussia. The title is traditionally borne by the heir apparent of the Dutch monarch. The title descends via absolute primogeniture since 1983, meaning that its holder can be either Prince or Princess of Orange. A title is one or more words used before or after a person's name, in certain contexts. It may signify either veneration, an official position, or a professional or academic qualification. In some languages, titles may be inserted between the first and last name. Some titles are hereditary. The Vaucluse is a department of Provence-Alpes-Côte d'Azur in the southeast of France, named after the famous spring the Fontaine de Vaucluse. The name Vaucluse derives from the Latin Vallis Clausa as the valley here ends in a cliff face from which emanates a spring whose origin is so far in and so deep that it remains to be defined. The House of Baux is a French noble family from the south of France. It was one of the richest and most powerful families of Medieval Provence, known as the 'Race d’Aiglon'. They were independent Lords as castellan of Les Baux and Arles and wielded very considerable authority at local level. 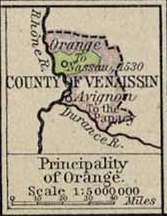 They held important fiefs and vast lands, including the principality of Orange. The Principality originated as the County of Orange, a fief in the Holy Roman Empire, in the Empire's constituent Kingdom of Burgundy. 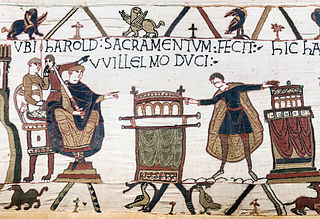 It was awarded to William of Gellone (born 755), a grandson of Charles Martel and therefore a cousin of Charlemagne, around the year 800 for his services in the wars against the Moors and in the reconquest of southern France and the Spanish March. His Occitan name is Guilhem; however, as a Frankish lord, he probably knew himself by the old Germanic version of Wilhelm. William also ruled as count of Toulouse, duke of Aquitaine,[ citation needed ] and marquis of Septimania. A fief was the central element of feudalism and consisted of heritable property or rights granted by an overlord to a vassal who held it in fealty in return for a form of feudal allegiance and service, usually given by the personal ceremonies of homage and fealty. The fees were often lands or revenue-producing real property held in feudal land tenure: these are typically known as fiefs or fiefdoms. However, not only land but anything of value could be held in fee, including governmental office, rights of exploitation such as hunting or fishing, monopolies in trade, and tax farms. William of Gellone, the medieval William of Orange, was the second Duke of Toulouse from 790 until 811. In 804, he founded the abbey of Gellone. He was canonized a saint in 1066 by Pope Alexander II. The chanson de geste is a medieval narrative, a type of epic poem that appears at the dawn of French literature. The earliest known poems of this genre date from the late eleventh and early twelfth centuries, before the emergence of the lyric poetry of the trouvères (troubadours) and the earliest verse romances. They reached their apogee in the period 1150–1250. The Chanson de Guillaume or Chançun de Willame is a chanson de geste from the first half of the twelfth-century. The work is generally considered to have two distinct halves: the first tells of Guillaume of Orange, his nephew Vivien and the latter's young brother Gui and their various battles with Saracens at L'Archamp; in the second half of the poem, Guillaume is aided by Rainouard, a giant. The Orbieu is a 84.3-kilometre (52.4 mi) long river in the Aude département, in south central France. Its source is at Fourtou, in the Corbières. It flows generally northeast. It is a right tributary of the Aude into which it flows between Raissac-d'Aude and Marcorignan, 10 kilometres (6 mi) northwest of Narbonne. As the kingdom of Burgundy fragmented in the early Middle Ages, the Holy Roman Emperor Frederick I Barbarossa elevated the lordship of Orange to a principality in 1163 to shore up his supporters in Burgundy against the Pope and the King of France. 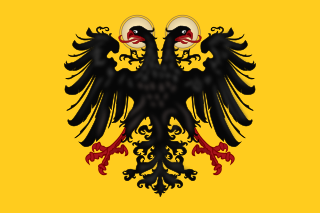 As the Empire's boundaries retreated from those of the principality, the prince acceded to the sovereign rights that the Emperor formerly exercised. :7 As William the Silent wrote in his marriage proposal to the uncle of his second wife, the Elector August of Saxony, he held Orange as "my own free property", not as a fief of any suzerain; neither the Pope, nor the Kings of Spain or France. That historical position of honor and reputation would later drive William the Silent forward, as much as it also fueled the opposition of his great grandson William III to Louis XIV, when that king invaded and occupied Orange. 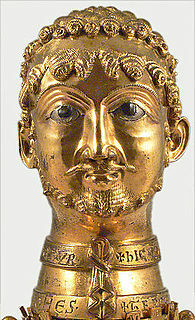 Frederick I, also known as Frederick Barbarossa, was the Holy Roman Emperor from 2 January 1155 until his death. He was elected King of Germany at Frankfurt on 4 March 1152 and crowned in Aachen on 9 March 1152. He was crowned King of Italy on 24 April 1155 in Pavia and Roman Emperor by Pope Adrian IV on 18 June 1155 in Rome. Two years later, the term sacrum ("holy") first appeared in a document in connection with his Empire. He was later formally crowned King of Burgundy, at Arles on 30 June 1178. He was named Barbarossa by the northern Italian cities which he attempted to rule: Barbarossa means "red beard" in Italian; in German, he was known as Kaiser Rotbart, which has the same meaning. Augustus was Elector of Saxony from 1553 to 1586. After the marquis (who died in 1713), the next holder was Louis of Mailly-Nesle [ fr ], marquis de Nesle (1689–1764). Although no longer descended from Louis-Charles, a branch of the Mailly family still claim the title today. Because William III died without legitimate children, the principality was regarded as having been inherited by his closest cognate relative on the basis of the testament of Frederic-Henry, Frederick I of Prussia, who ceded the principality — at least the lands, but not the formal title — to France in 1713. France supported his claim. In this way, the territory of the principality lost its feudal and secular privileges and became a part of France. The Treaty of Utrecht allowed the King of Prussia to erect part of the duchy of Gelderland (the cities of Geldern, Straelen and Wachtendonk with their bailiwicks, Krickenbeck, Viersen, the land of Kessel, the lordships of Afferden, Arcen-Velden-Lomm, Walbeck-Twisteden, Raay and Klein-Kevelaer, Well, Bergen and Middelaar) into a new Principality of Orange. The kings of Prussia and the German emperors styled themselves Princes of Orange till 1918. They also claimed on the basis of the testament of Philip William, Maurice and William III. Finally, they claimed on the basis that Orange was an independent state whose sovereign had the right to assign his succession according to his will. France never recognized any of this, nor allowed the Orange-Nassaus or the Hohenzollerns to obtain anything of the principality itself. The Oranje-Nassaus nevertheless assumed the title and also erected several of their lordships into a new principality of Orange. 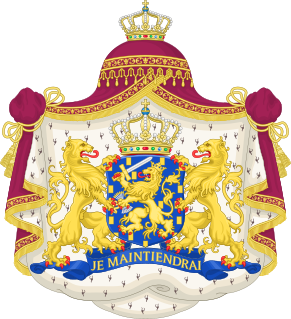 From that derivation of the title comes the tradition of the house of Nassau-Dietz, the later stadtholders of the Netherlands, and the present-day royal family of the Netherlands, of holding this title. They maintain the tradition of William the Silent and the house of Orange-Nassau. 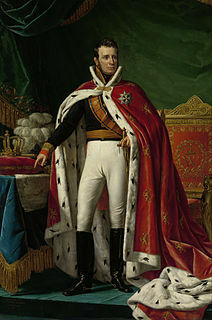 After the establishment of the current Kingdom of the Netherlands in 1815, the title was partly reconstitutionalized by legislation and granted to the eldest son of King William I of the Netherlands, Prince William, who later became William II of the Netherlands. Since 1983, the heir to the Dutch throne, whether male or female, bears the title Prince or Princess of Orange. The first-born child of the heir to the Dutch throne bears the title Hereditary Prince(ss) of Orange. When her father Willem-Alexander became King of the Netherlands following the abdication of Queen Beatrix, Princess Catharina-Amalia became the Princess of Orange. The princes of Orange in the 16th and 17th century used the following sets of arms. 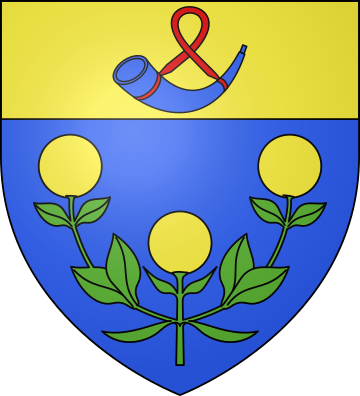 On becoming Prince of Orange, William placed the Châlon-Arlay arms in the center ("as an inescutcheon") of his father's arms. He used these arms until 1582 when he purchased the marquisate of Veere and Vlissingen. He then used the arms attributed to Frederick Henry, etc. with the arms of the marquisate in the top center, and the arms of the county of Buren in the bottom center. Their growing complexity shows how arms are used to reflect the growing political position and royal aspirations of the house of Orange-Nassau. Prince Friso of Orange-Nassau was a younger brother of King Willem-Alexander of the Netherlands. Prince Friso was a member of the Dutch Royal Family, but because of his marriage without an Act of Consent in 2004, he lost his membership of the Dutch Royal House and was no longer in the line of succession to the throne. René of Châlon, also known as Renatus of Châlon, was a Prince of Orange and stadtholder of Holland, Zeeland, Utrecht and Gelre. Princess Ariane of the Netherlands, Princess of Orange-Nassau is the third and youngest daughter of King Willem-Alexander and Queen Máxima. Princess Ariane is a member of the Dutch Royal House and currently third in the line of succession to the Dutch throne. Louis II of Chalon-Arlay, nicknamed the Good, was Lord of Arlay and Arguel Prince of Orange. He was the son of John III of Chalon-Arlay and his wife, Mary of Baux-Orange, and the father of William VII of Chalon-Arlay. The House of Chalon-Arlay was a French noble house, a cadet branch of the House of Ivrea. The founder of the house is John I of Chalon-Arlay, fifth son of John, Count of Chalon. When John III lord of Arlay married to Mary de Baux, princess of Orange, the House acquired the principality of Orange. 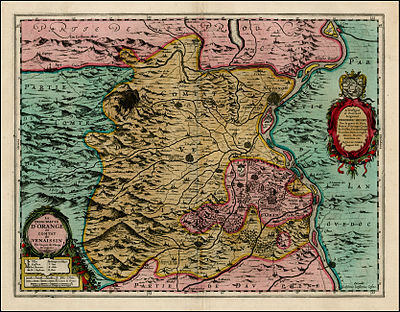 Orange-Nassau, also known as Nassau-Orange, was a principality which was part of the Lower Rhenish-Westphalian Circle within the Holy Roman Empire. It existed under this name between 1702 and 1815. The territory of the former state of Orange-Nassau is now part of Germany. It was ruled by the House of Orange-Nassau. Mary of Baux-Orange was suo jure Princess of Orange. She was the last holder of this title from the House of Baux. 1 2 3 4 5 6 7 Rietstap, Johannes Baptist (1861). Armorial général, contenant la description des armoiries des familles nobles et patriciennes de l'Europe: précédé d'un dictionnaire des termes du blason. G.B. van Goor. p. 746. ↑ "Histoire de la ville d'Orange" . Retrieved May 5, 2011. ↑ Harkness, D (April 1924). "The Opposition to the 8th and 9th Articles of the Commercial Treaty of Utrecht". The Scottish Historical Review. 21 (83): 219–226. JSTOR 25519665. ↑ "Treaty between Prussia and Orange-Nassau, Berlin, 1732". Heraldica.org (in French). Retrieved 16 June 2015. ↑ Peele, Ada (2013). "Part 1: "De verdeling van de nalatenschap van Willem III"". Een uitzonderlijke erfgenaam: De verdeling van de nalatenschap van Koning-Stadhouder Willem II en een consequentie daarvan: Pruisisch heerlijk gezag in Hooge en Lage Zwaluwe, 1702–1754 (1st ed.). Uitgeverij Verloren B.V. ISBN 978-9-087-04393-3. 1 2 3 4 Grew, Marion Ethel (1947). The House of Orange. 36 Essex Street, Strand, London W.C.2: Methuen & Co. Ltd. pp. 2–3. ↑ Geneviève Hasenohr and Michel Zink, ed. (1992). Dictionnaire des lettres françaises: Le Moyen Age. Collection La Pochothèque. Paris: Fayard. ISBN 2-253-05662-6. ↑ Rowen, Herbert H. (1988). The princes of Orange: the stadholders in the Dutch Republic. Cambridge University Press. p. 11. ISBN 0-8063-4811-9. ↑ William I to Elector August I of Saxony, 16 April 1564 (1835–1915). van Prinsterer, F.Groen; et al., eds. Archives ou correspondance inedite de la Maison d'Orange-Nassau. series 1. vol. 1. Leiden and Utrecht. p. 232. ↑ Pontbriant, A. de. Histoire de la principauté d'Orange ; suivie de lettres inédites des princes d'Orange, des rois de France, du Cte de Grignan, etc., etc. Seguin frères (in French). Avignon: Bibliothèque nationale de France. p. 262. ark:/12148/bpt6k298581f. Retrieved 19 May 2011. ↑ Pontbriant, A. de. Histoire de la principauté d'Orange ; suivie de lettres inédites des princes d'Orange, des rois de France, du Cte de Grignan, etc., etc. Seguin frères (in French). Avignon: Bibliothèque nationale de France. p. 262 & following, 273 & following. ark:/12148/bpt6k298581f. Retrieved 19 May 2011. ↑ Vast, , Henri (1847–1921). Éditeur scientifique. "Traité de paix d'Utrecht entre Louis XIV et Frédéric-Guillaume, roi de Prusse". Les grands traités du règne de Louis XIV ([Reprod.]) publ. par Henri Vast (in French). IDC (Leiden). p. 125 (article X.). Retrieved 16 May 2011. ↑ Vast, , Henri (1847–1921). Éditeur scientifique. "Traité de paix d'Utrecht entre Louis XIV et Frédéric-Guillaume, roi de Prusse" [Peace treaty of Utrecht between Louis XIV and Frédéric-Guillaume, King of Prussia]. Les grands traités du règne de Louis XIV ([Reprod.]) publ. par Henri Vast (in French). IDC (Leiden). p. 126 (article X.). Retrieved 16 May 2011. ↑ "Pedigree Chart for Louise de Coligny: Genealogics". www.genealogics.org. ↑ "Pedigree Chart for Anne Pot, Comtesse de St.Pol : Genealogics". www.genealogics.org. ↑ "Pedigree Chart for Jean II de Villiers de L'Isle-Adam, Seigneur de L'Isle-Adam : Genealogics". www.genealogics.org. ↑ "Pedigree Chart for Marguerite de Beaumont, Dame de Martigné-Ferchaut : Genealogics". www.genealogics.org. ↑ "Pedigree Chart for Elizabeth Widville (Woodville-Wydville): Genealogics". www.genealogics.org. ↑ "Pedigree Chart for Francesco del Balzo, 1.Duca d'Andria : Genealogics". www.genealogics.org. ↑ "Pedigree Chart for Guillaume de Baux, Seigneur de Berre et d'Istres : Genealogics". www.genealogics.org. ↑ Velde, François. "Treaty between Prussia and Orange-Nassau, Berlin, 1732". Preussens Staatsvertraege aus der Regierungzzeit König Friedrich Wilhelms I. (in French). 33 CTS 487. p. 404. Retrieved 16 May 2011. ↑ Dumont, Jean, Baron de Carlscroon ( continued after Dumonts death by J. Rousset). "Treaty between Prussia and Orange-Nassau, Berlin, 1732". Corps universel diplomatique du droit des gens, contenant un recueil des traités de paix, d'alliance, &c., faits en Europe, depuis Charlemagne jusqu'à present, Supplement (in French). Amsterdam. II, part II: 335. Retrieved 16 May 2011. ↑ Blok, Petrus Johannes (1970). The History of the People of the Netherlands. 5, Eighteenth and Nineteenth Centuries. New York, NY: AMS Press. p. 60. ↑ Pontbriant, A. de. Histoire de la principauté d'Orange ; suivie de lettres inédites des princes d'Orange, des rois de France, du Cte de Grignan, etc., etc. Seguin frères (in French). Avignon: Bibliothèque nationale de France. p. 262 & following. ark:/12148/bpt6k298581f. Retrieved 19 May 2011. ↑ Ross, Kelley L. Ph.D. "Princes of Orange, 1171–1584 AD" . Retrieved 27 April 2011. 1 2 Rowen, Herbert H. (1988). The princes of Orange: the stadholders in the Dutch Republic. Cambridge University Press. p. 29. ISBN 0-8063-4811-9. ↑ "The Official Website of the Dutch Royal House in English, see tour of Noordeinde Palace, Royal Archives, Front Entrance Hall". Archived from the original on 18 March 2012. Retrieved 1 June 2011. 1 2 Haley, K(enneth) H(arold) D(obson) (1972). The Dutch in the Seventeenth Century. Thames and Hudson. p. 78. ISBN 0-15-518473-3. 1 2 Anonymous. "Wapenbord van Prins Maurits met het devies van de Engelse orde van de Kouseband". Exhibit of a painted woodcut of Maurice's Arms encircled by the Order of the Garter in the Rijksmuseum, Amsterdam. Rijksmuseum, Amsterdam. Archived from the original on 11 January 2012. Retrieved 26 April 2011. 1 2 3 4 Rietstap, Johannes Baptist (1875). Handboek der Wapenkunde. Netherlands: Theod. Bom. pp. 347–348. De PRINS VAN ORANJE Gevierendeeld: 1 en 4 het koninklijke wapen; 2 en 3 nogmaals gevierendeeld van rood met een gouden schuinbalk, en van goud met een blaauwen, rood-gesnoerden en beslagen jagthoorn, benevens een hartschildje op het snijpunt, beladen met vijf gouden vakken grenzende aan vier blaauewe. Overigens geheel als het koninklijke wapen. 1 2 3 4 Junius, J.H. (1894). Heraldiek. Netherlands: Frederik Muller. p. 151. In Nederland voert de PRINS VAN ORANJE het koninklijk wapen gekwartileerd met dat van ORANJE-CHALONS. ↑ "De Prins van Oranje". Rijksvoorlichtingsdienst (RVD). 23 August 2012. Archived from the original on 23 August 2012. Retrieved 23 August 2012. Sinds de inhuldiging van de Koningin op 30 april 1980 heeft Prins Willem-Alexander de titel Prins van Oranje. Deze titel is voorbehouden aan de troonopvolger van de Koning(in)." In english: "Since the inauguration of the Queen on 30 April 1980, Prince Willem-Alexander the title of Prince of Orange. This title is reserved to the heir to the throne of the King (Queen). ↑ "Prinses Catharina-Amalia". Rijksvoorlichtingsdienst (RVD). 23 August 2012. Archived from the original on 5 March 2013. Retrieved 23 August 2012. Prinses Catharina-Amalia is de tweede in de lijn van troonopvolging. Als haar vader Koning wordt, krijgt zij als vermoedelijke troonopvolger de titel 'Prinses van Oranje'." In English: "Princess Catharina-Amalia is the second in line of succession to the throne. When her father is King, she becomes, as heir apparent, 'Princess of Orange'. 1 2 Rietstap, Johannes Baptist (2003). Armorial general. vol.2. Genealogical Publishing Co. p. 297. ISBN 0-8063-4811-9. ↑ "Wapens van leden van het Koninklijk Huis". Coats of Arms of the Dutch Royal Family, Website of the Dutch Monarchy, the Hague. Rijksvoorlichtingsdienst (RVD), the Hague, the Netherlands. Archived from the original on 23 January 2013. Retrieved 30 April 2012. ↑ Rietstap, Johannes Baptist (1875). Handboek der Wapenkunde. the Netherlands: Theod. Bom. pp. 347–348. De PRINS VAN ORANJE Gevierendeeld: 1 en 4 het koninklijke wapen; 2 en 3 nogmaals gevierendeeld van rood met een gouden schuinbalk, en van goud met een blaauwen, rood-gesnoerden en beslagen jagthoorn, benevens een hartschildje op het snijpunt, beladen met vijf gouden vakken grenzende aan vier blaauewe. Overigens geheel als het koninklijke wapen. ↑ Junius, J.H. (1894). Heraldiek. the Netherlands: Frederik Muller. p. 151. In Nederland voert de PRINS VAN ORANJE het koninklijk wapen gekwartileerd met dat van ORANJE-CHALONS. ↑ Rietstap, Johannes Baptist (1875). Handboek der Wapenkunde. the Netherlands: Theod. Bom. p. 348. De ERFPRINS VAN ORANJE, casu quo: Gelijk de Prins van Oranje, met een rooden barensteel over de beide eerste kwartieren heen. ↑ Junius, J.H. (1894). Heraldiek. the Netherlands: Frederik Muller. p. 151. ...behalve de erfprins die 's vaders wapen met een barensteel breekt. Bij ons vorstenhuis is die barenstell altijk van keel.